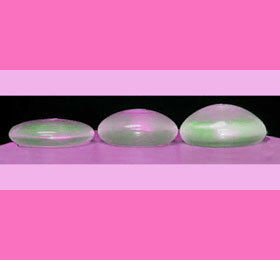 Low profile breast implants are the least used of all implant profiles. Breast implant profile is the measurement of how far the implant shell will project off the chest. It is commonly called implant height or depth. Low profile implants are well suited to specific patient needs and offer realistic aesthetic results for women who require a wider, flatter breast implant style. This report details the best uses of low profile implants in breast augmentation and reconstruction applications. We will examine the benefits offered by low profile prosthetics and explain the physical criteria which best match the low profile design. The low profile implant shell is wider (larger diameter) and flatter (less height or depth) than moderate profile breast implants. 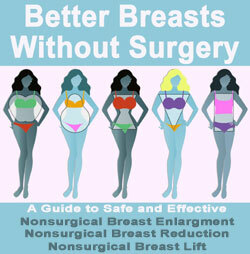 This implant style is commonly used for women who have a wide, broad chest frame. The extra width of the implant shell will fill the chest anatomy correctly, achieving a natural look and realistic cleavage. The implant will not project as far off the body as other implant styles, making it the right choice for women who want fullness, but not an overly round and obviously enhanced look. The main criteria used to select low profile implants are the base diameter of the breast and the general dimensions of the chest. The implant should be smaller than the base diameter of the natural breast mound, which is often substantial in wider framed women. A large diameter implant in a moderate or high profile style would be far larger than some women want to go. The low profile design allows a correct bodily fit, while minimizing the implant fill volume. This provides a comfortable level of enhancement as far as size, weight and projection, without sacrificing a natural look and feel. Low profile implants might be used less than other implant profiles, but they offer important benefits to women who are seeking a specific breast aesthetic. Discussing your expectations with your cosmetic surgeon is the best method of ensuring that you receive the correct implant profile to meet your needs. Understanding the difference in implant profiles is the first step in choosing the right design to meet your anatomical requirements. Determining the correct profile is actually just as important as choosing the right size. If you require assistance, feel free to ask your surgeon for their advice, since their experience will be a valuable resource in choosing your new breast implants.